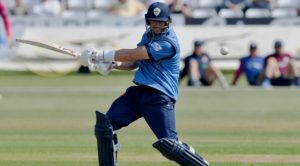 Gary Wilson says Derbyshire must execute their plans better as they look to kick-start their campaign with victory against Notts Outlaws on Friday. The Falcons welcome their East Midlands neighbours to The 3aaa County Ground looking to secure their first win of the new competition – and Wilson is confident that his side can come back strong this Friday. He said: “There are 12 games left which is the way we are looking at it. I think last year we were three and three in the first six games so we need to get on a bit of a run and I think we’ve got the players to do it. “In the two games we’ve played, after the batting powerplay we’ve been something like 29-3 and 35-2, so clearly we’ve haven’t got enough up front but it’s not easy, especially if you lose wickets. “But you’ve got to find a way and we’ve got to be better and execute our plans. You can’t attack it with the intention of having to score this many off the powerplay, we simply have to be a little smarter at what we are doing. 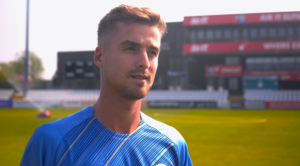 Despite the defeats to Lancashire and Worcestershire, Wilson has been encouraged by the performance of his bowlers and in particular Lockie Ferguson, who claimed figures of 2-25 against the Rapids. Wilson added: “I thought the way we bowled was an improvement, our lengths were far better. I thought they identified they were a bit full in the first game and the way they came back was superb. “He’s [Ferguson] looked good. He’s quick, hungry and I’ve been impressed with his attitude as well. East Midlands derby! 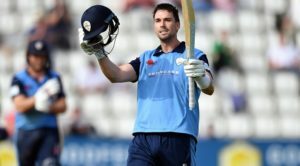 Derbyshire Falcons host Notts Outlaws this Friday, 13 July. Purchase your tickets in advance and save £5. Buy online or call 01332 388 101.